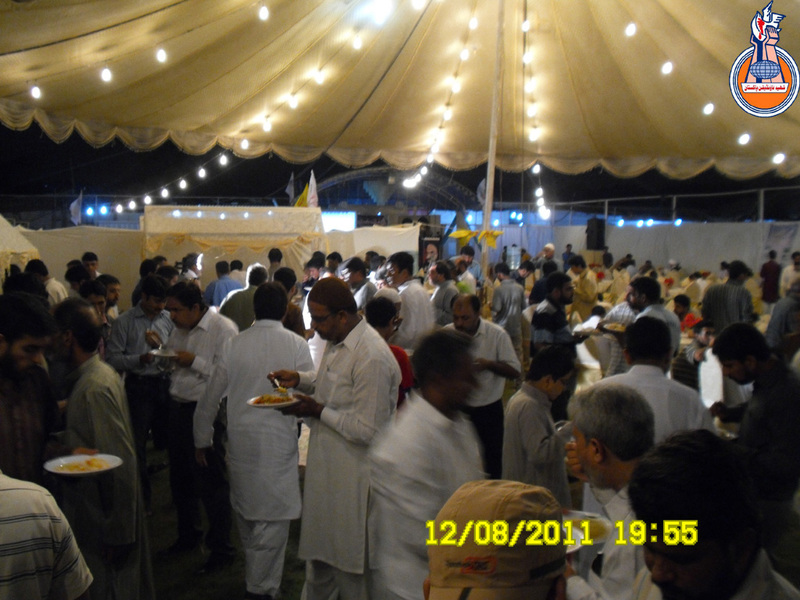 Shaheed Foundation Pakistan hosted an Aftar Dinner in the honour of the Ulema-e-Karam, representatives of millats institutions and organizations, donors and philanthropists on friday 12th August (11th Ramadan) here at Islamic Research Centre Karachi. 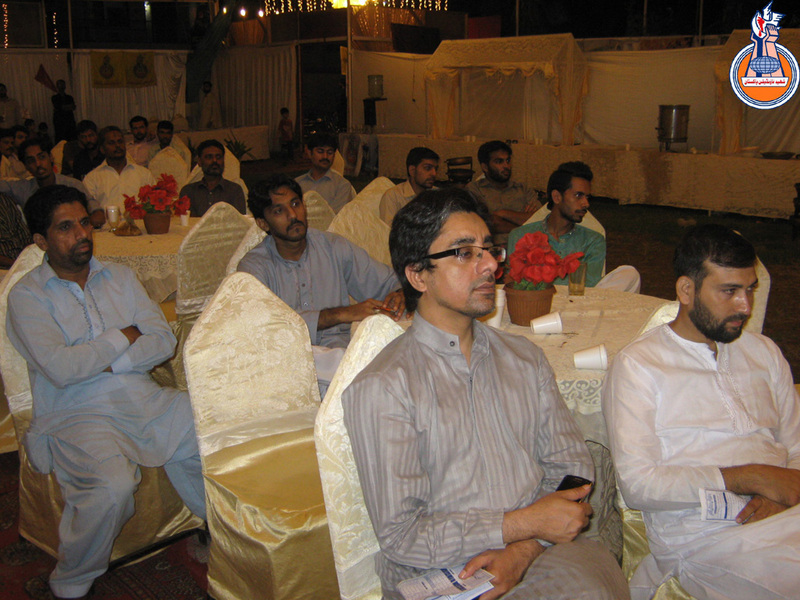 The program was arranged to apprise the responsible of the millat about the latest developments and Shaheed Foundation Pakistan�s activities across the country. 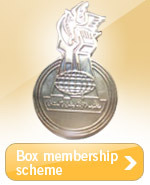 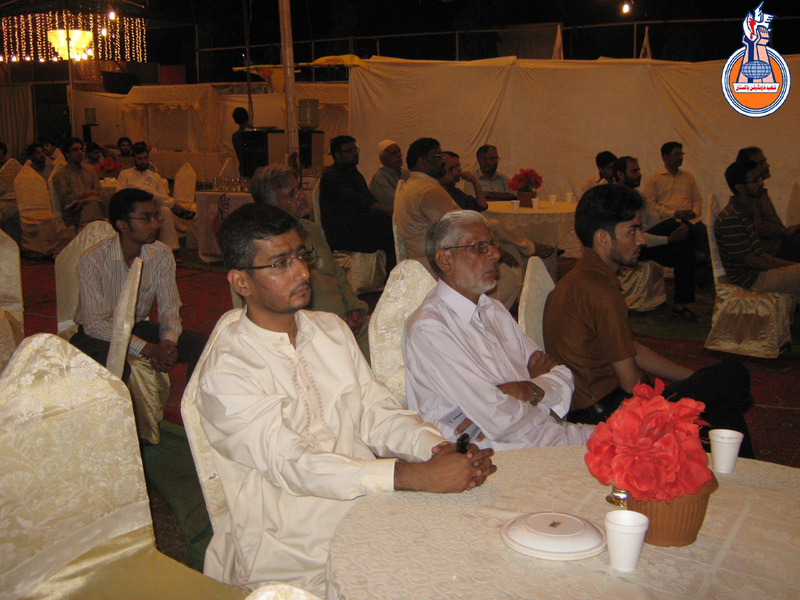 Currently Shaheed Foundation is serving 1048 families of Shohada-e-Millat-e-Jaffaria Pakistan. 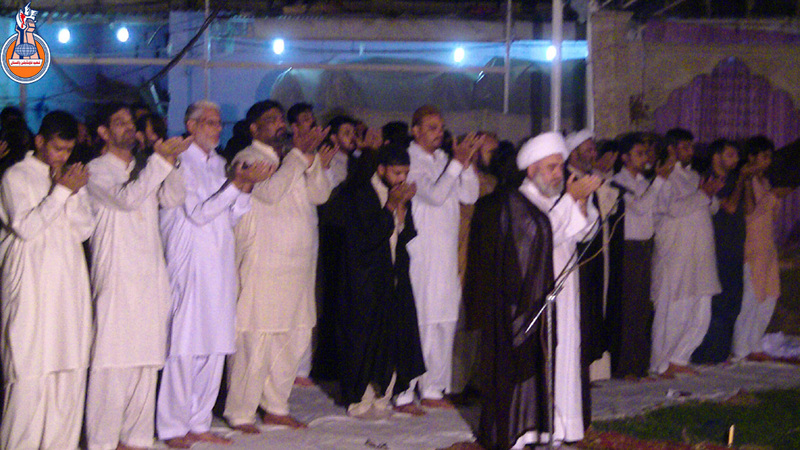 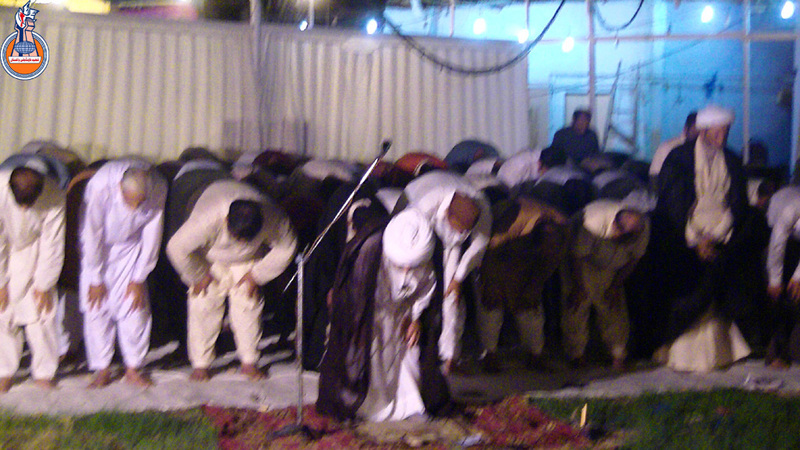 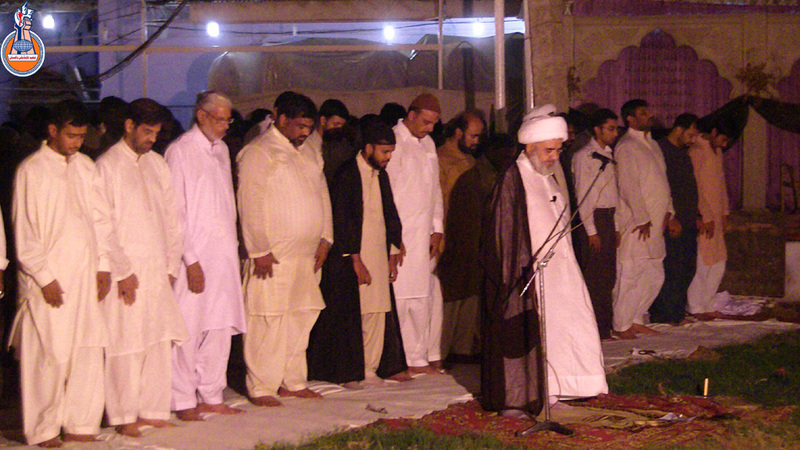 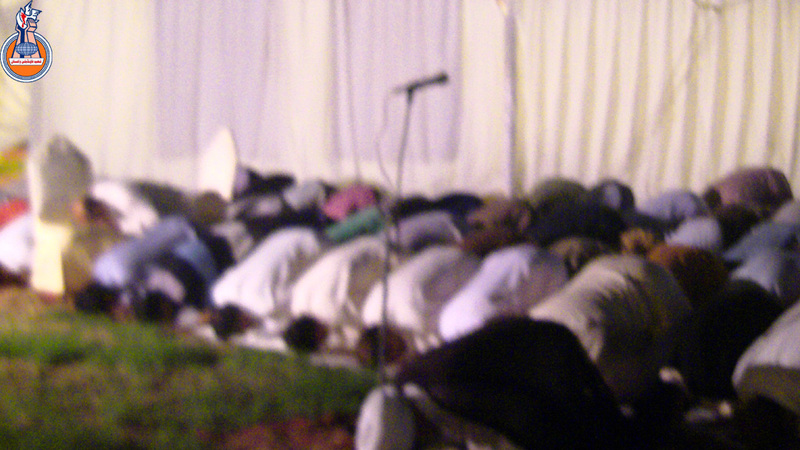 The maghrebain prayers were led by Agha Hasan Salahuddin. 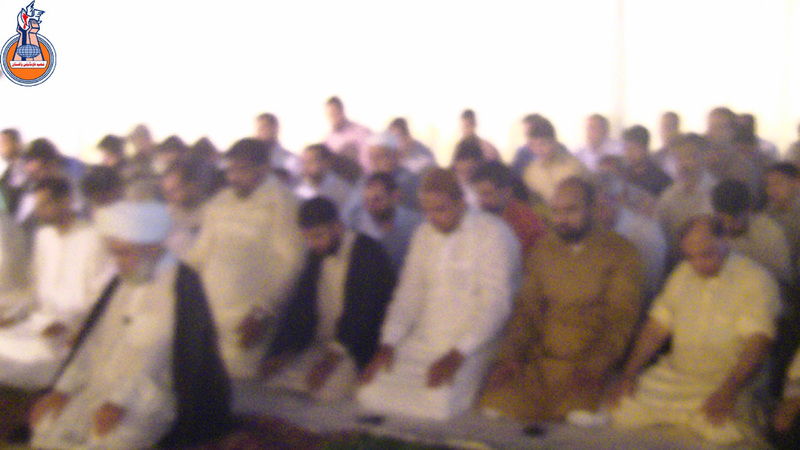 Prayers were followed by Iftar. 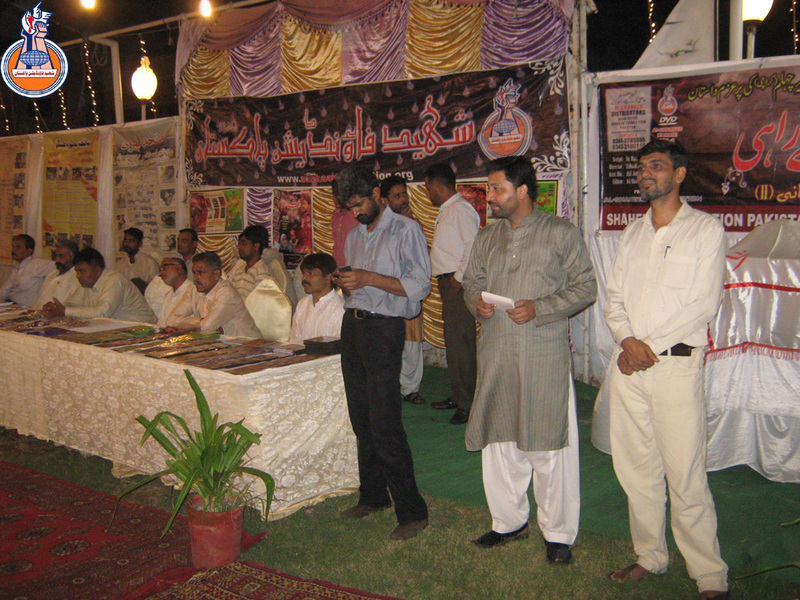 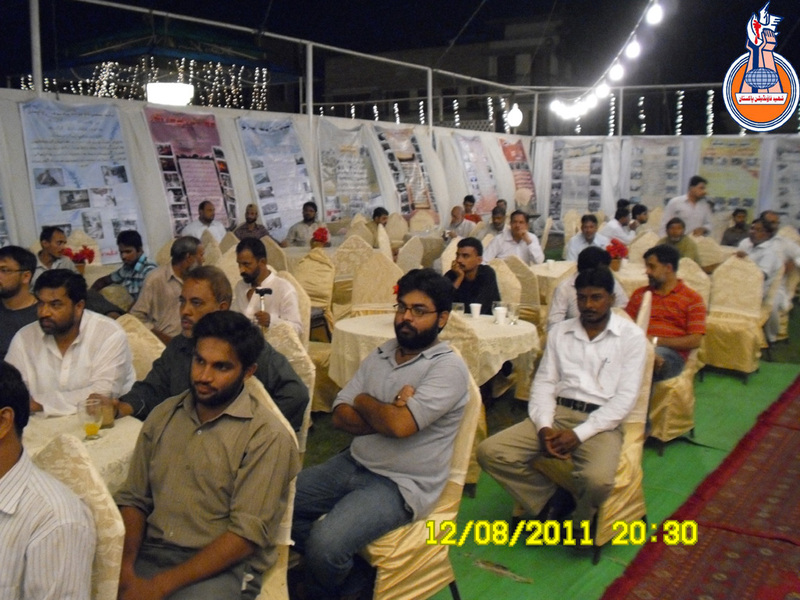 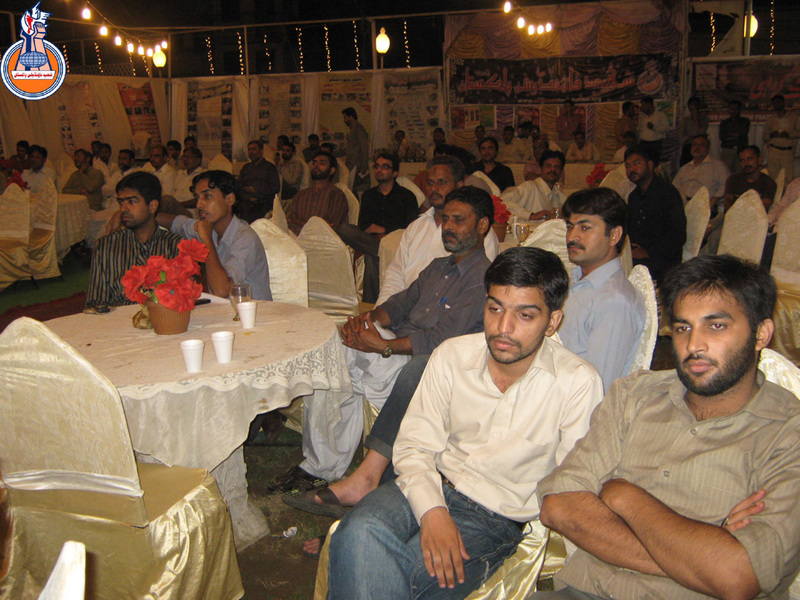 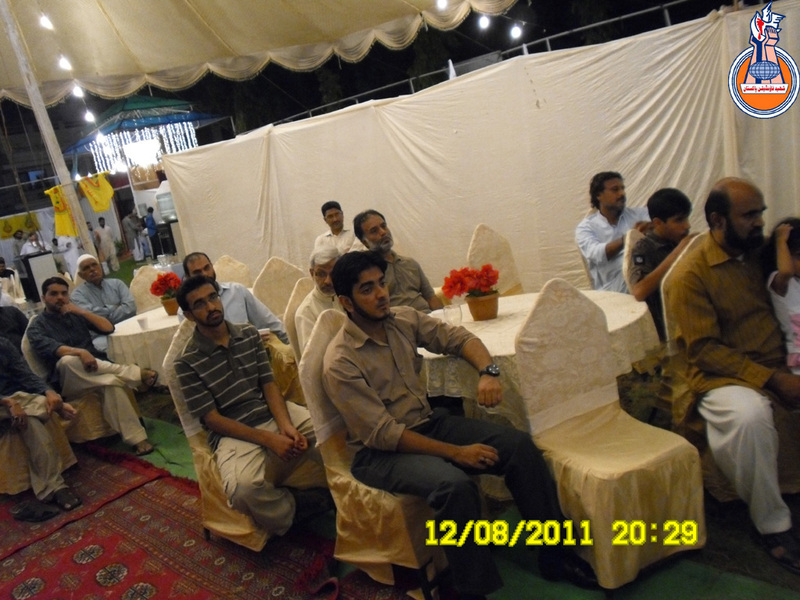 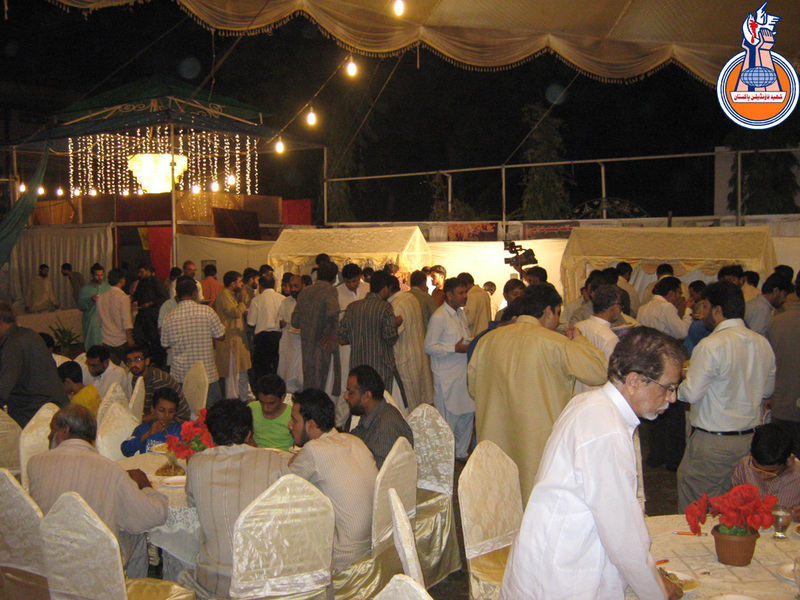 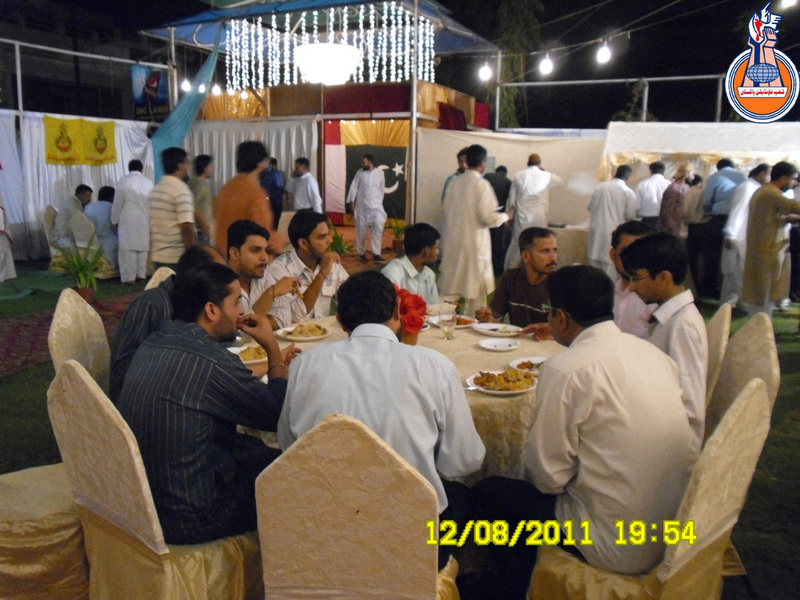 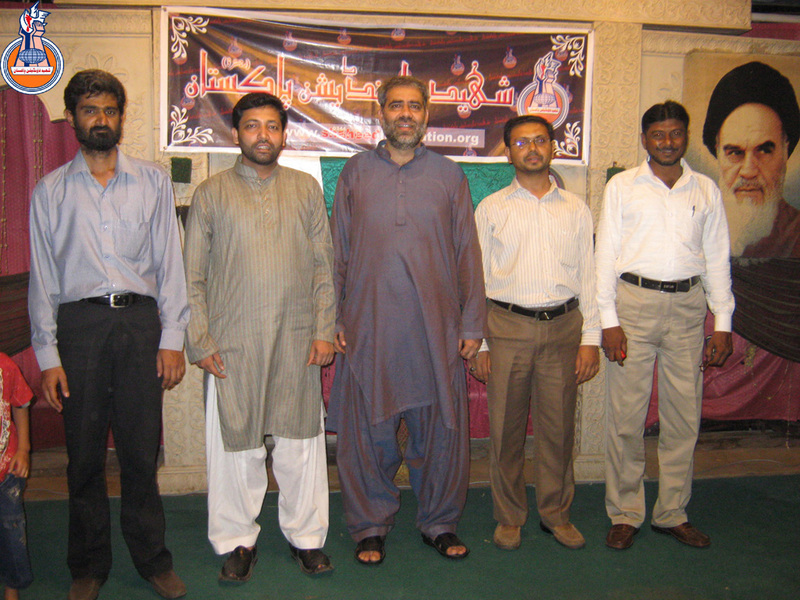 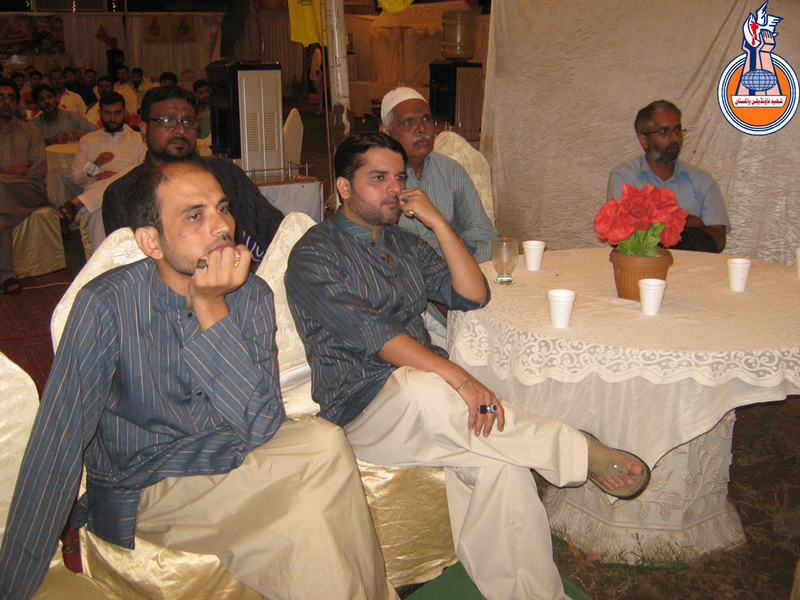 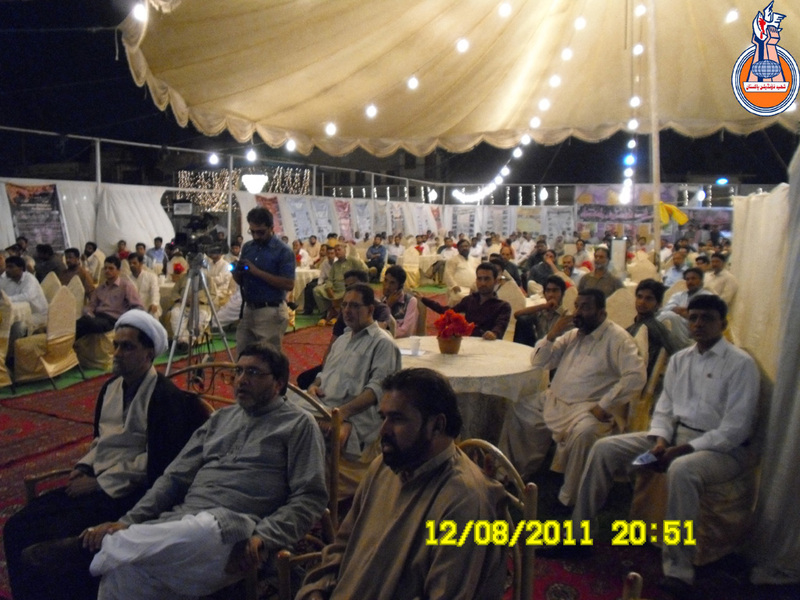 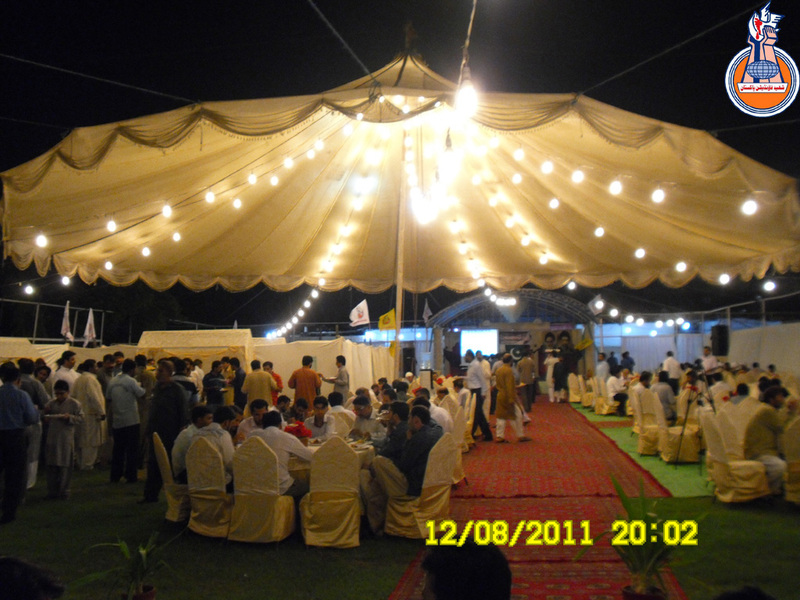 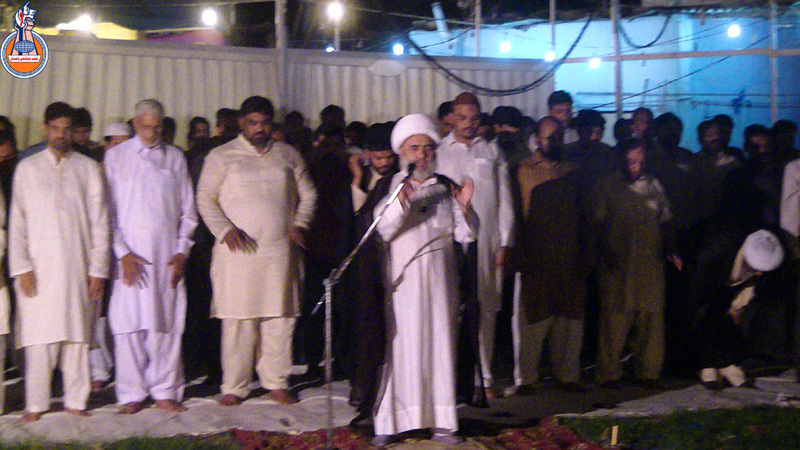 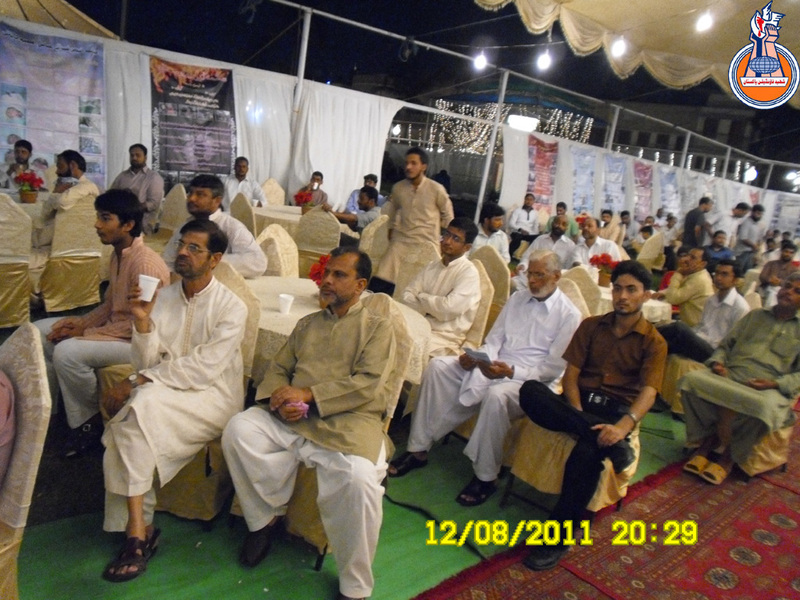 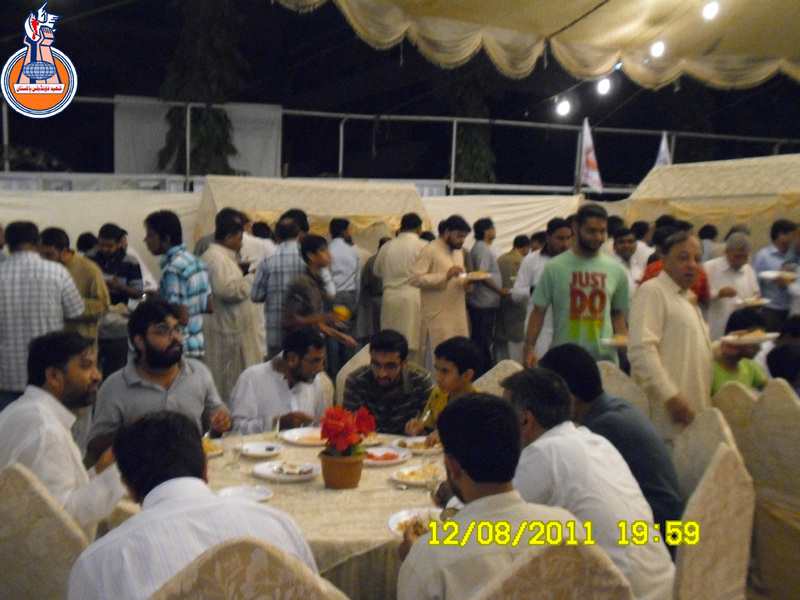 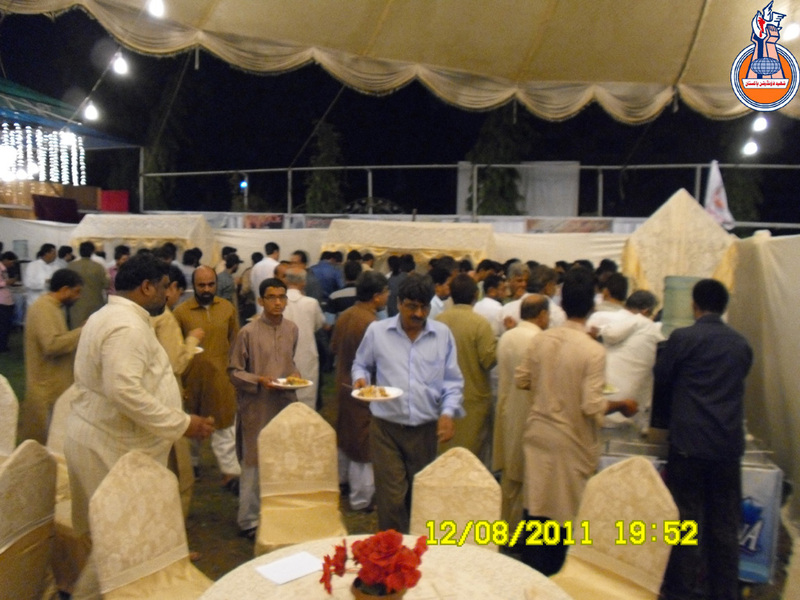 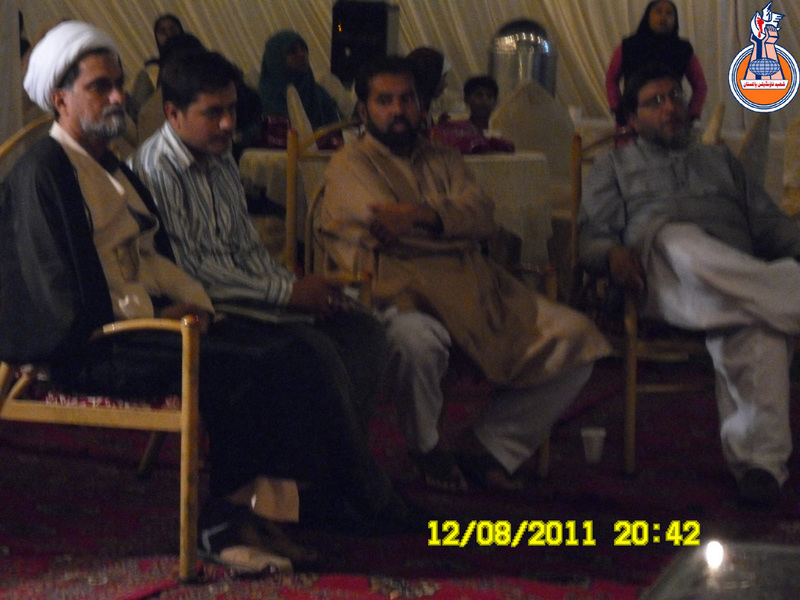 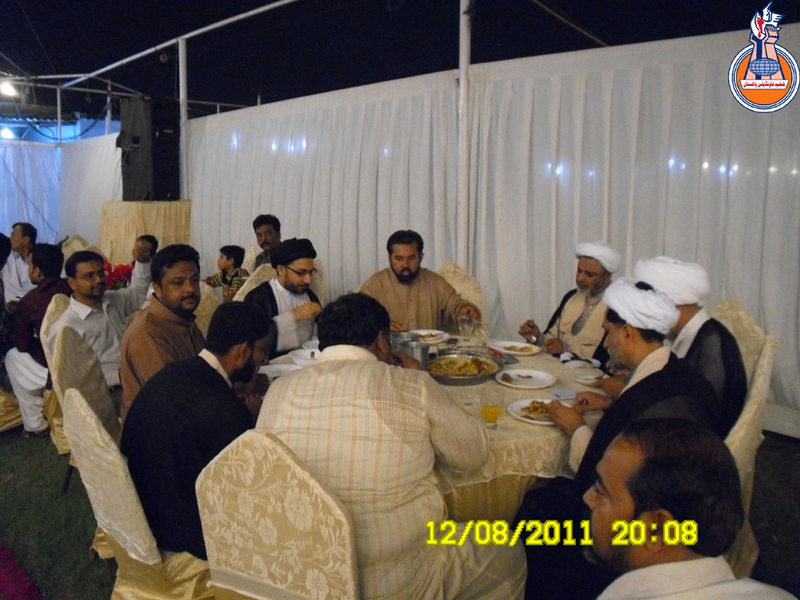 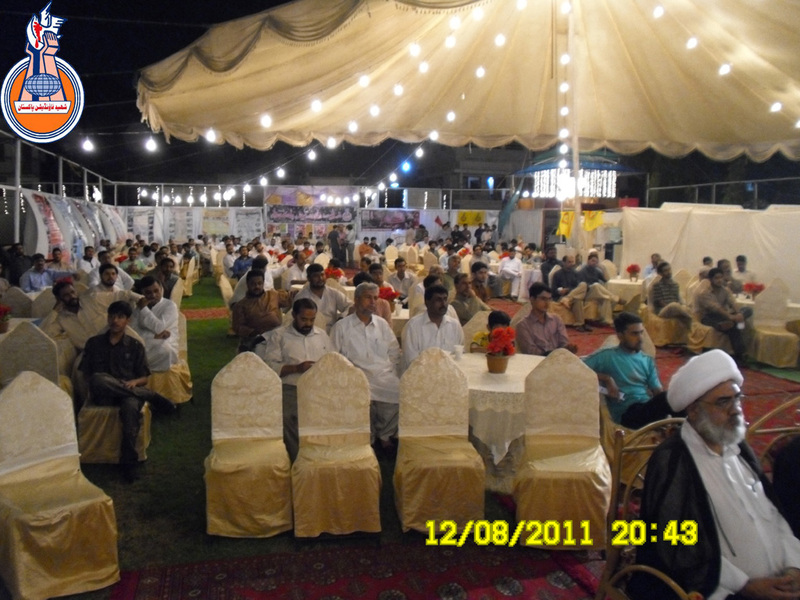 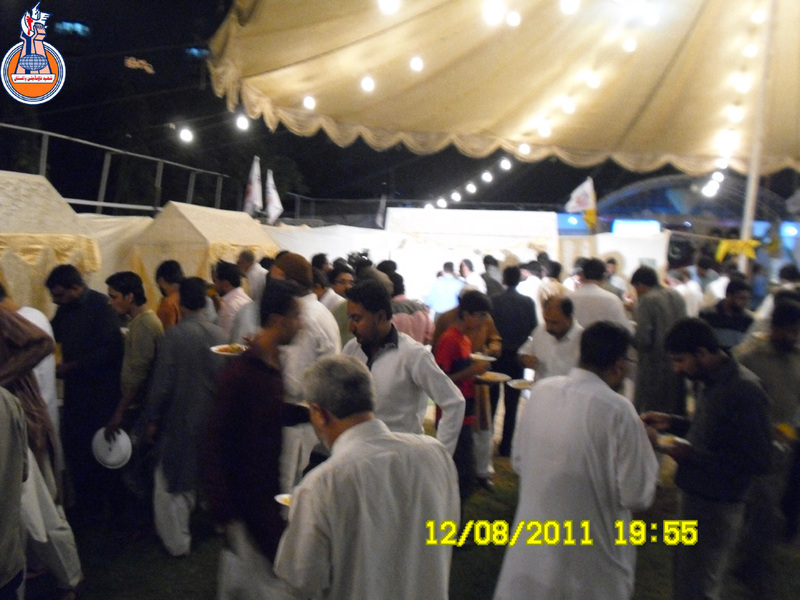 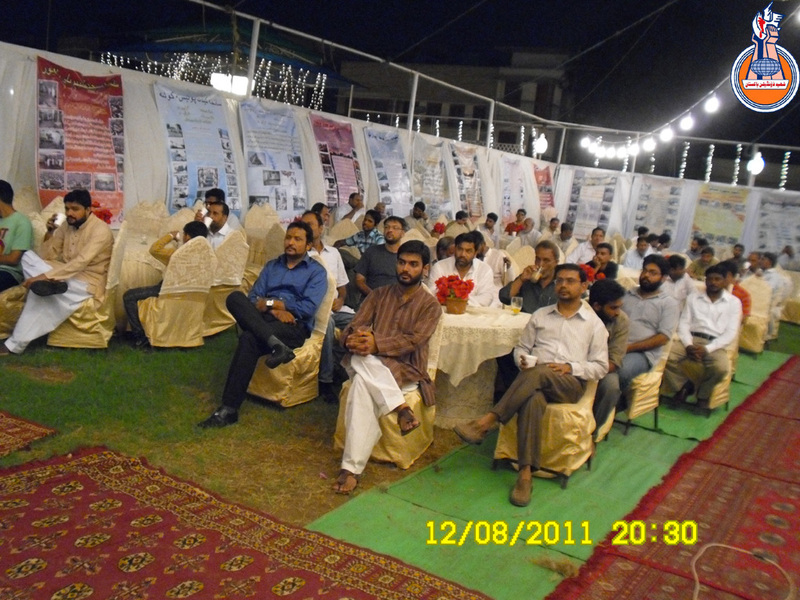 Once the aftar was over the program formally began with the recitation from the verses of Holy Quran by Agha Ali Anwar. 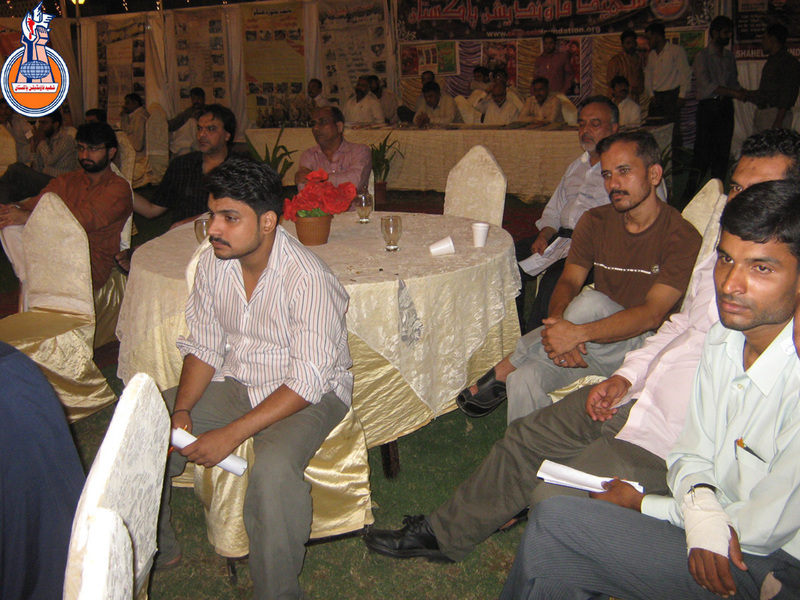 A brief 20 minutes of video presentation highlighting the various projects of Shaheed foundation Pakistan followed the recitation. 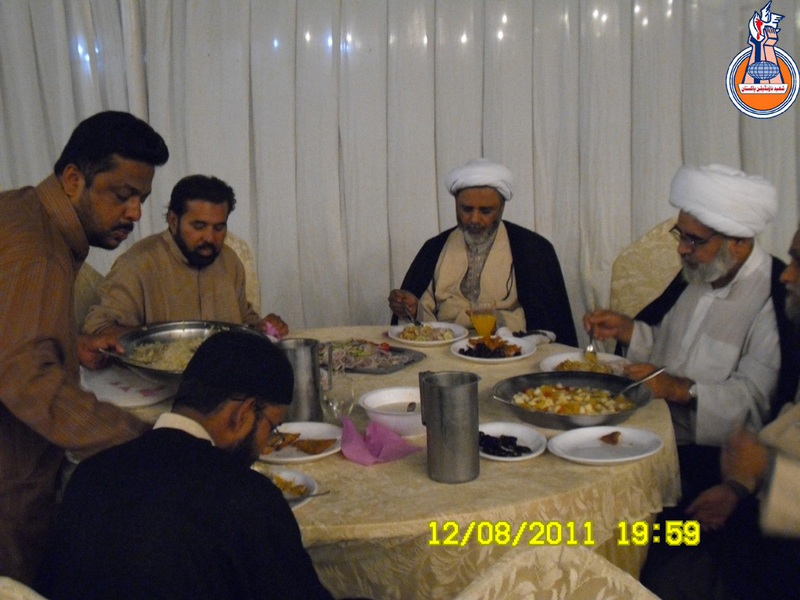 Soon afterwards Brother Syed Shuja Rizvi presented a glorious kalaam. 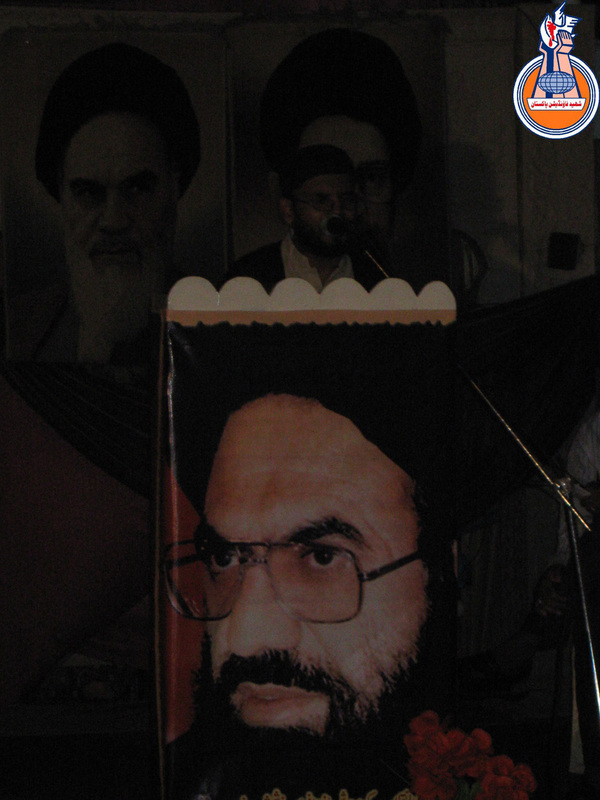 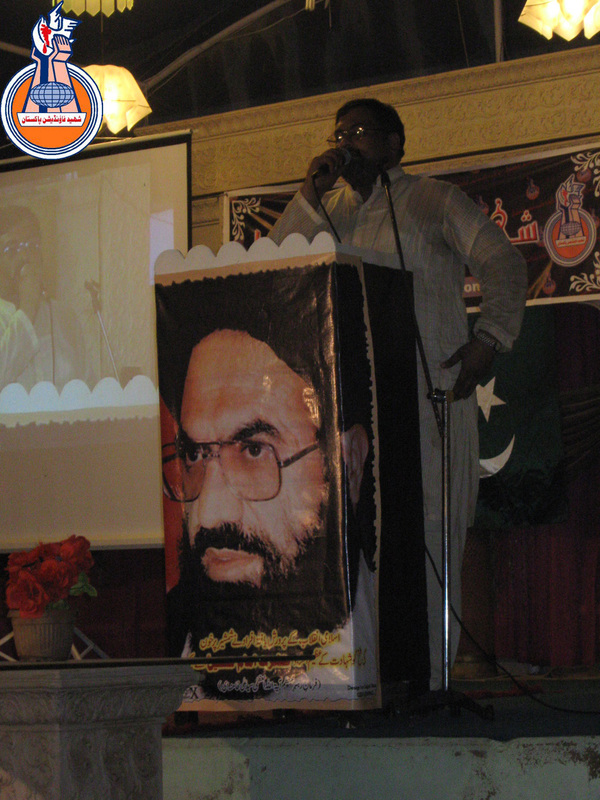 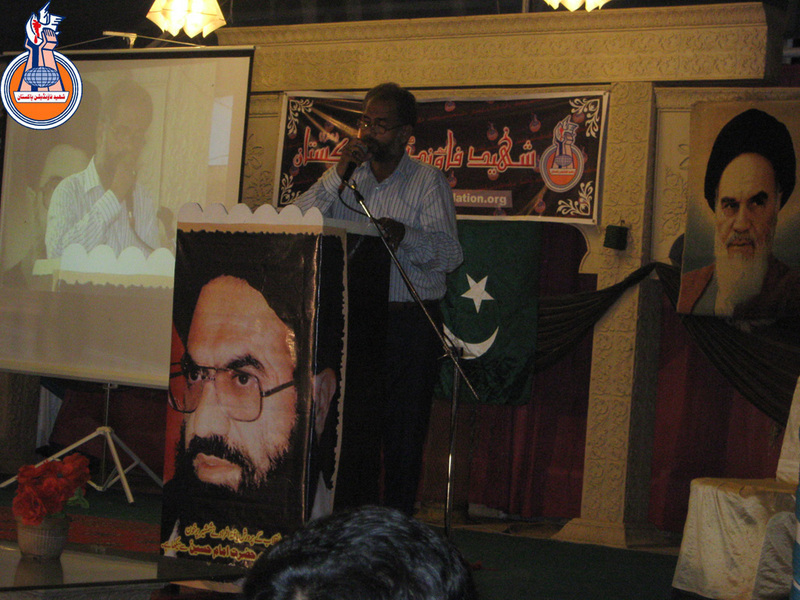 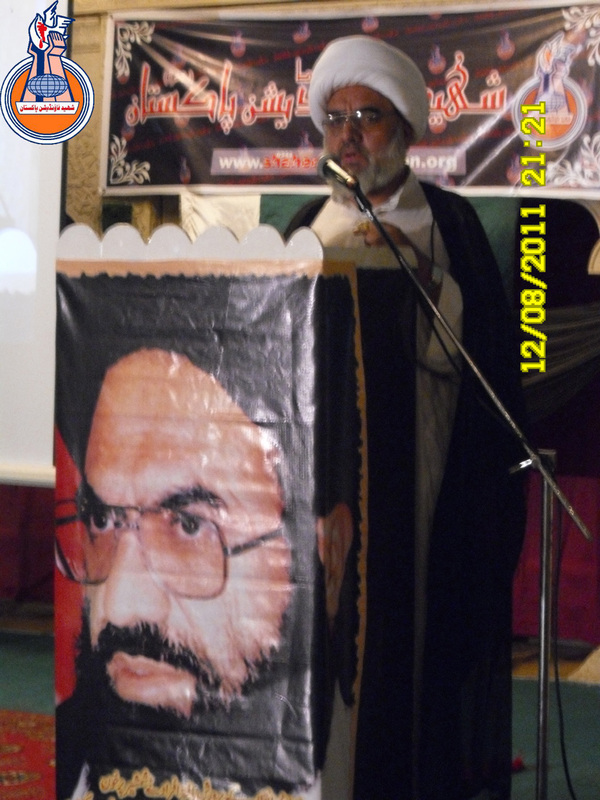 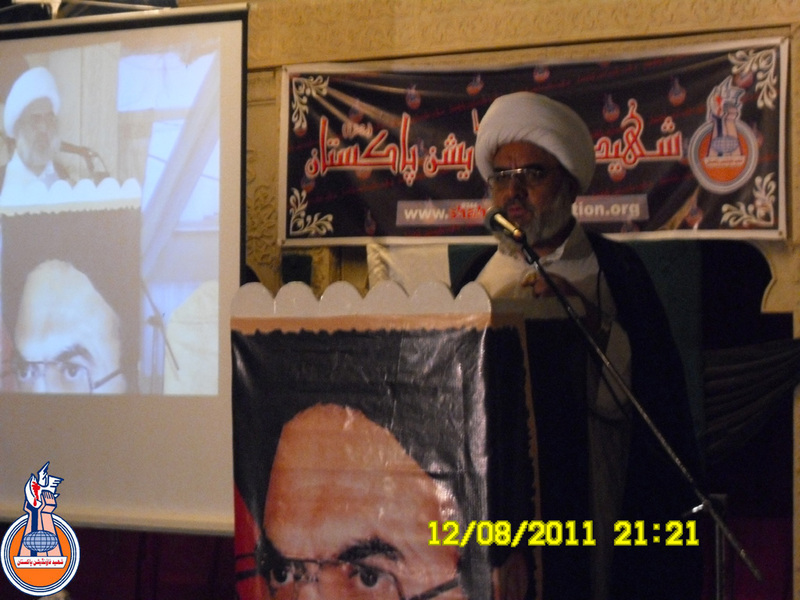 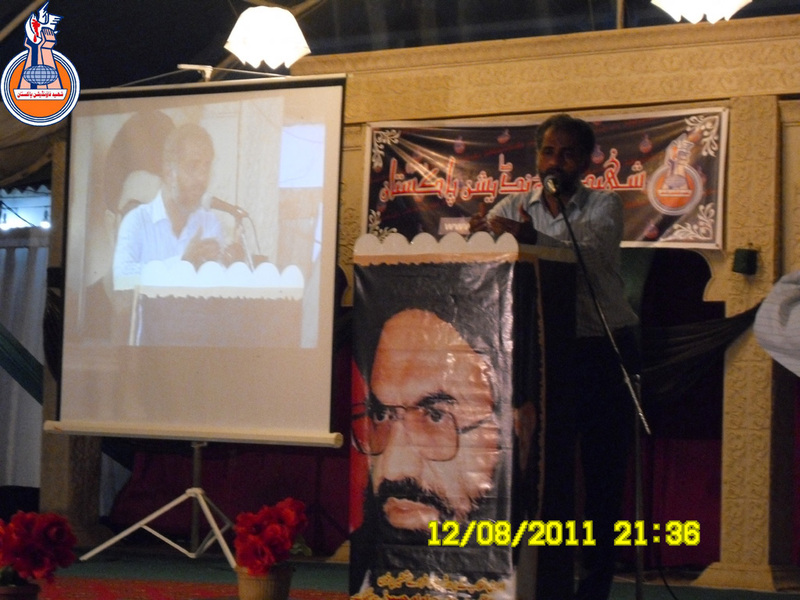 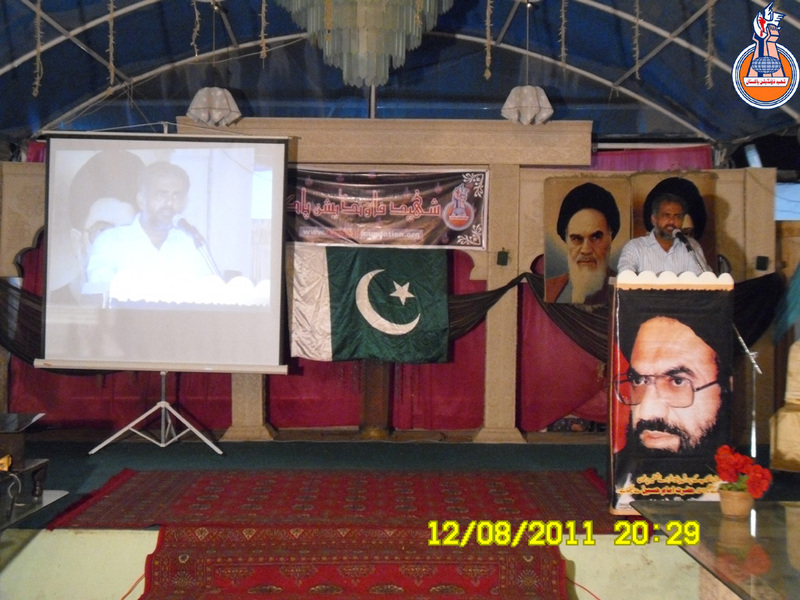 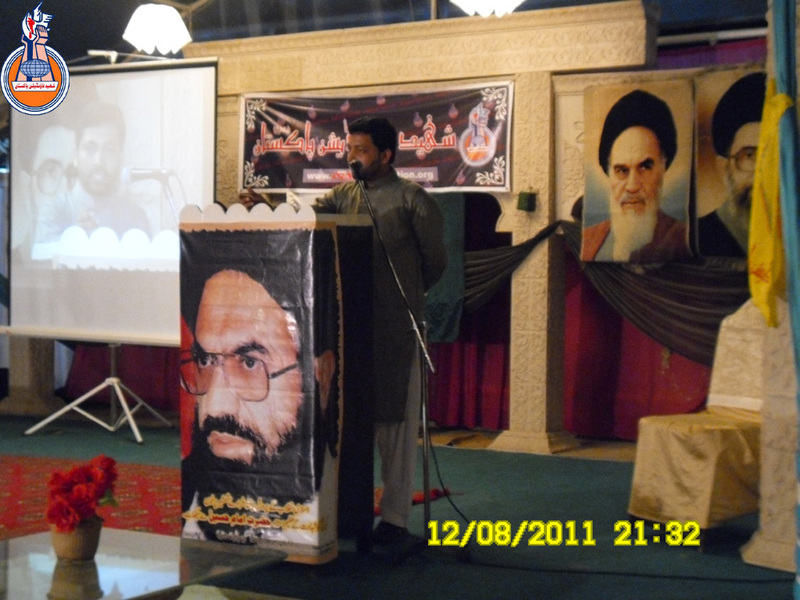 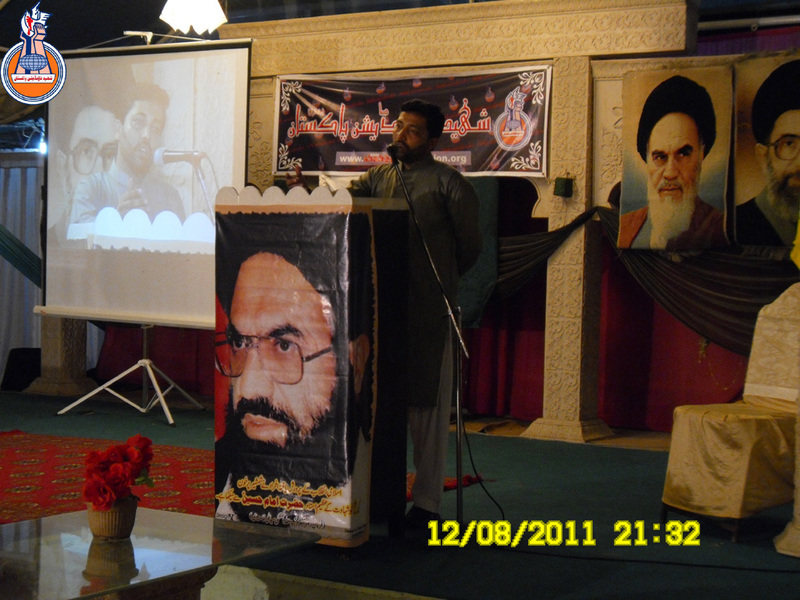 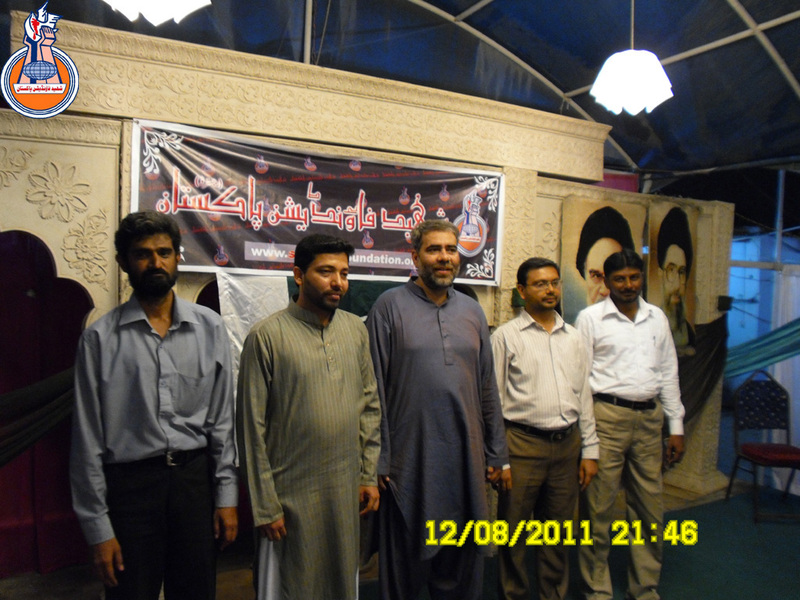 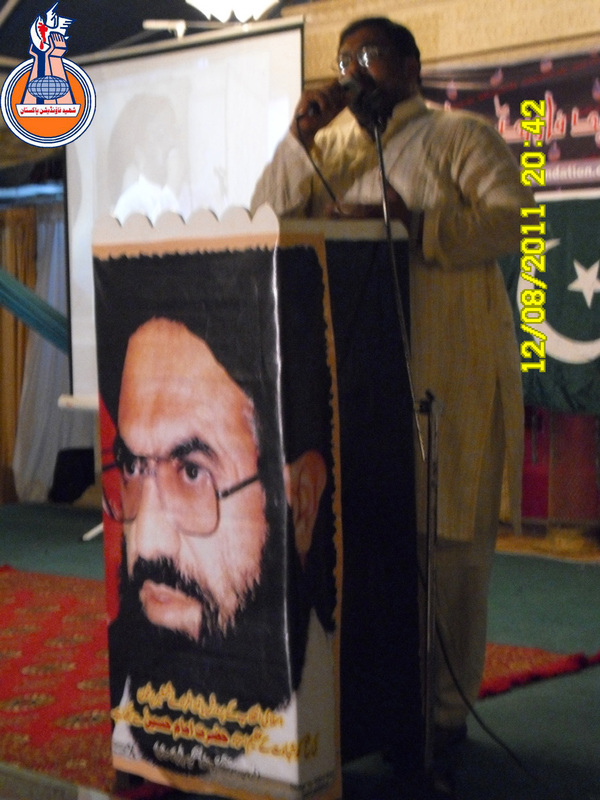 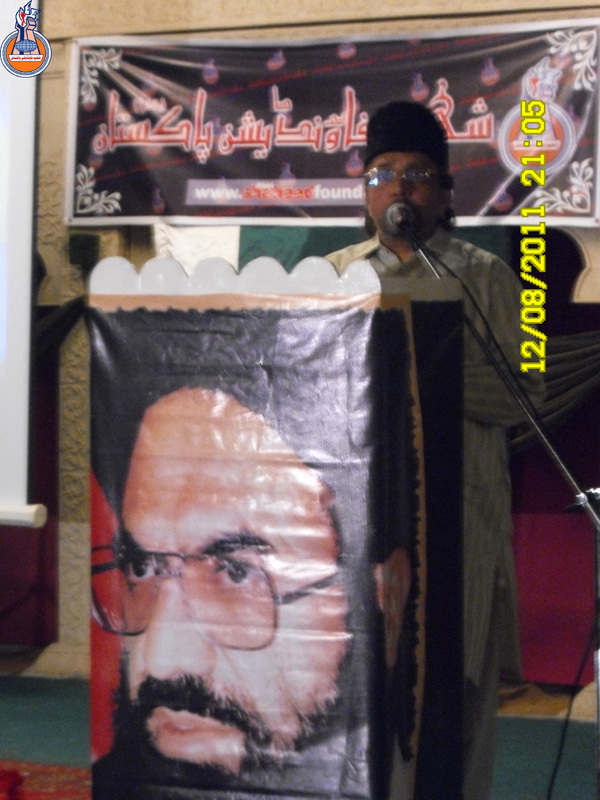 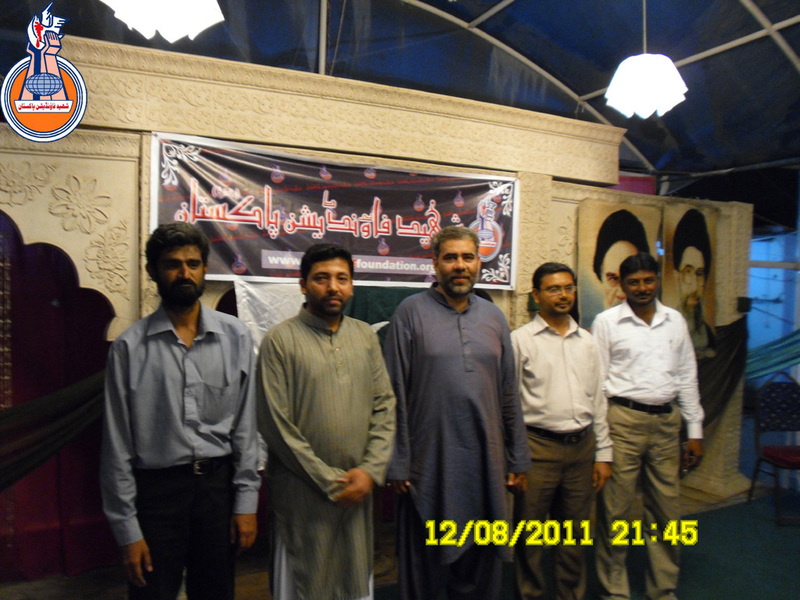 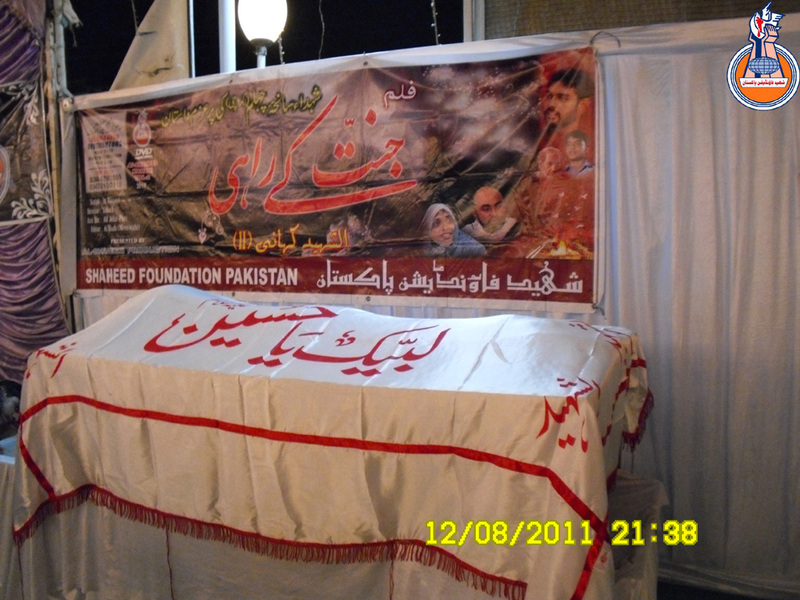 Agha Furqan Haider Abdi shed light on the philosophy of shahadat in very elaborate manner. 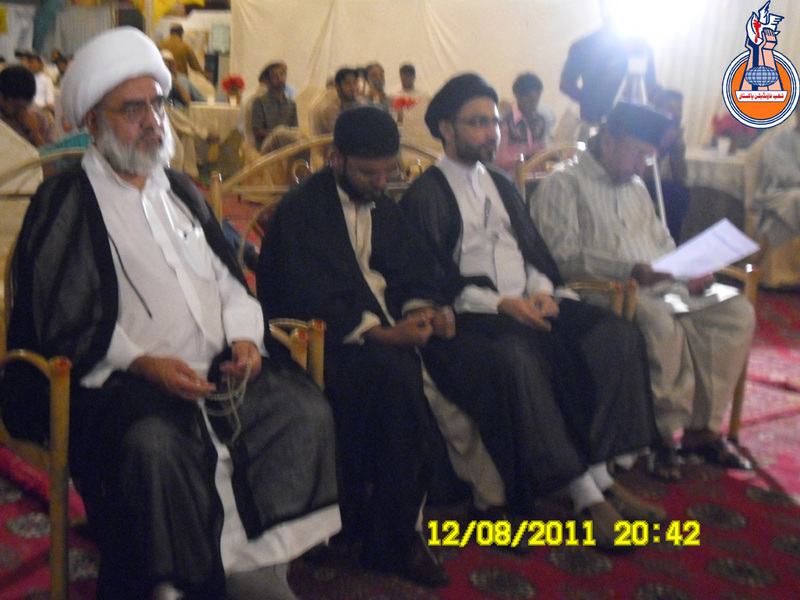 Besides,other Ulema-e-karaam, Agha Dr. Aqeel Moosa, Agha Shehnshah Naqvi and Agha Hussain Masoodi also adorned the occasion with their gracious presence and offered invaluable advice and consultation to the responsible of Shaheed foundation. 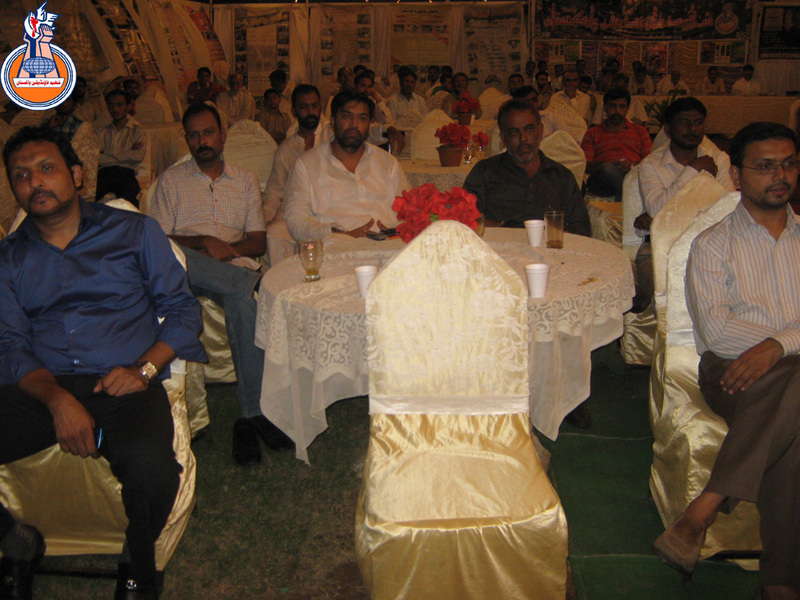 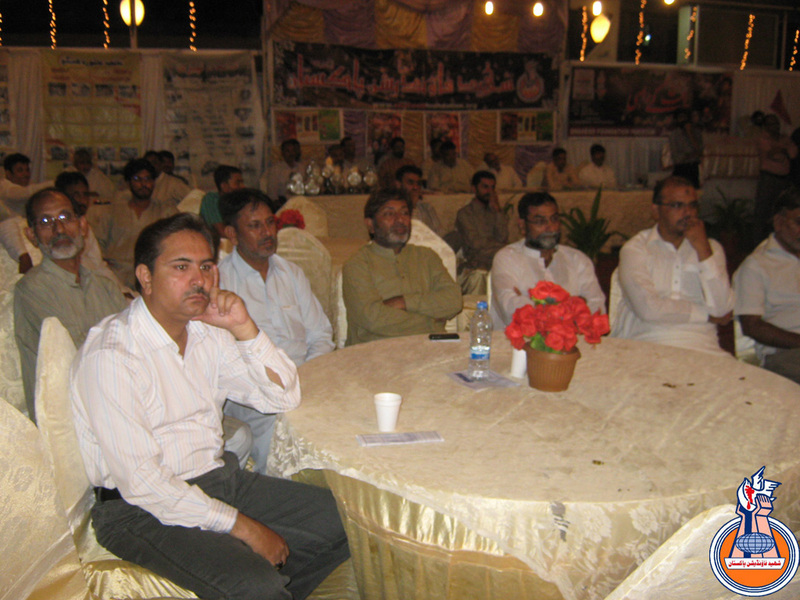 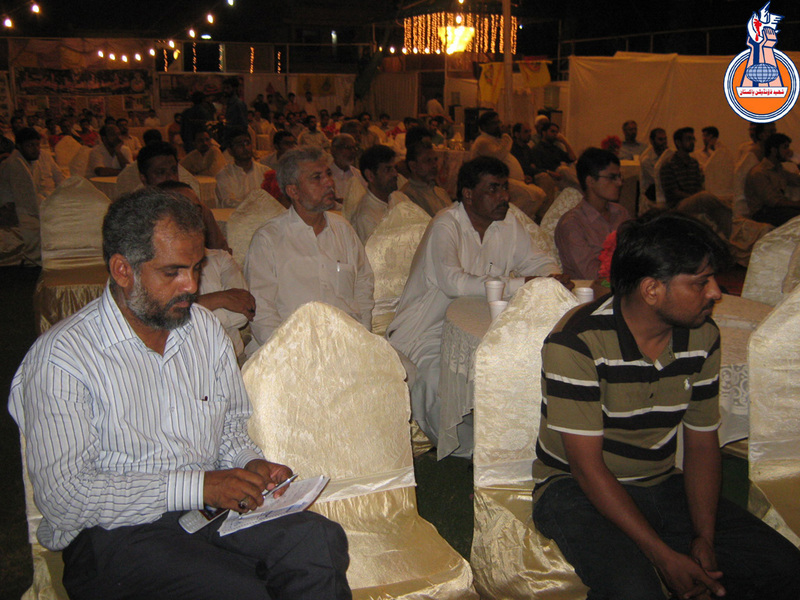 SFPs regular and potential donors also attended the program in good numbers and took keen interest in SFPs activities . 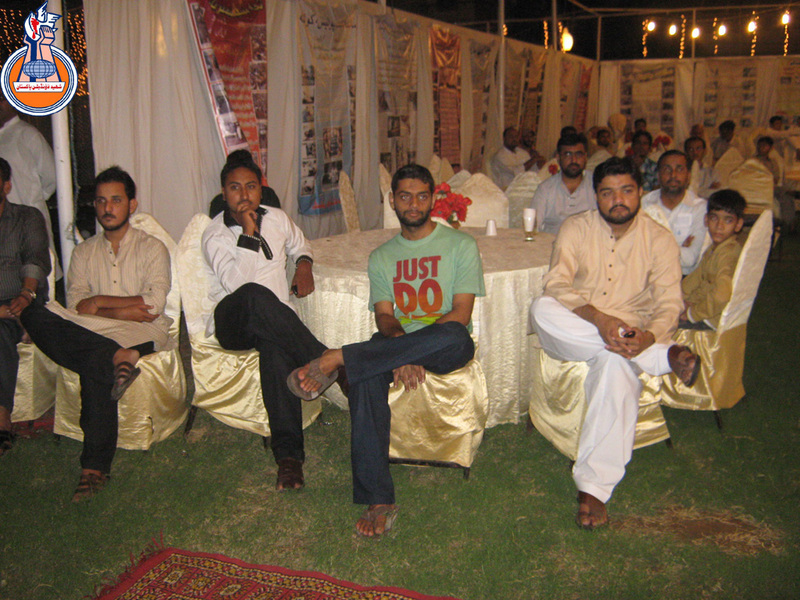 Brothers from various institutions and organizations of Millat-e-Jaffaria Pakistan also attended the program and held rich informal discussions regarding SFP�s progress and future plans ,on the sidelines of the iftar dinner. 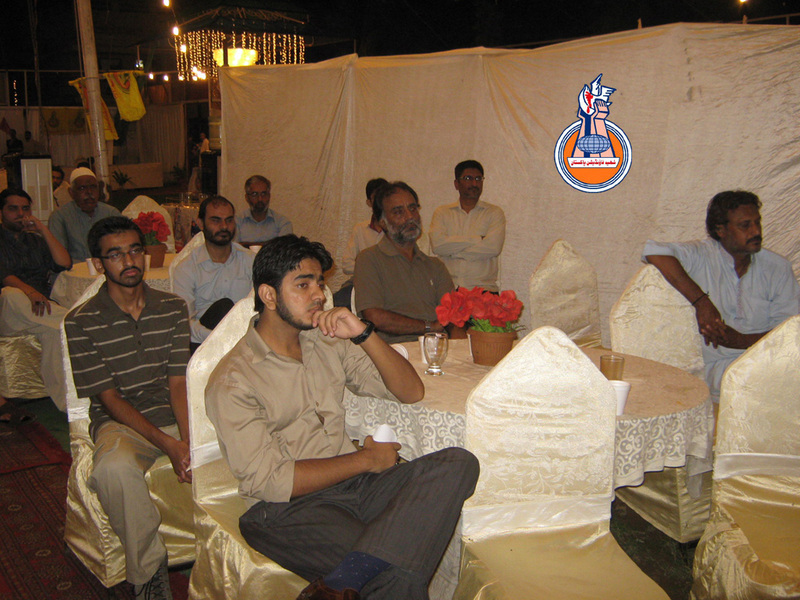 Shaheed Foundation Pakistans central committee member Brother Safder Iqbal presented the ending speech in which he discussed in detail the testing challenges currently faced by Shaheed Foundation Pakistan to rally greater support for the cause of Shohada-e-Millat-e-Jaffaria Pakistan from all quarters of the millat, especially focusing on the responsible who can potentially mobilize the whole millat effectively for the noble cause. 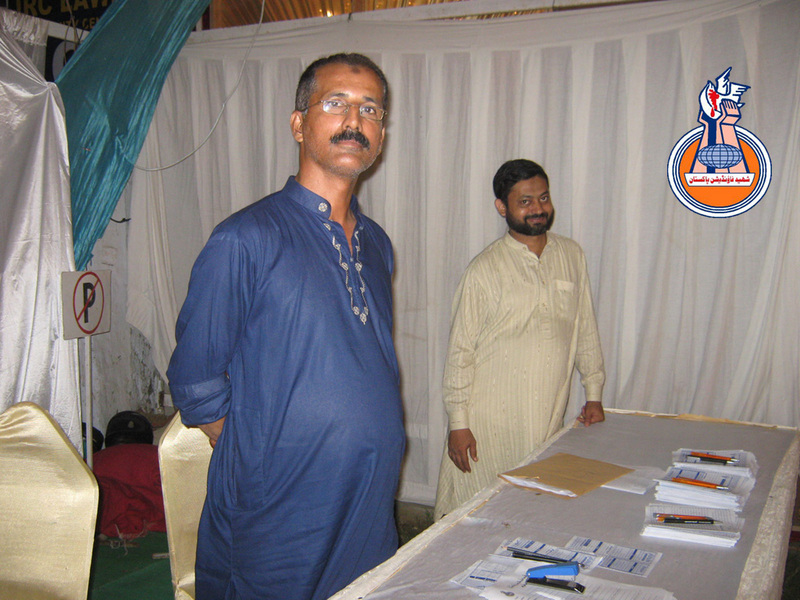 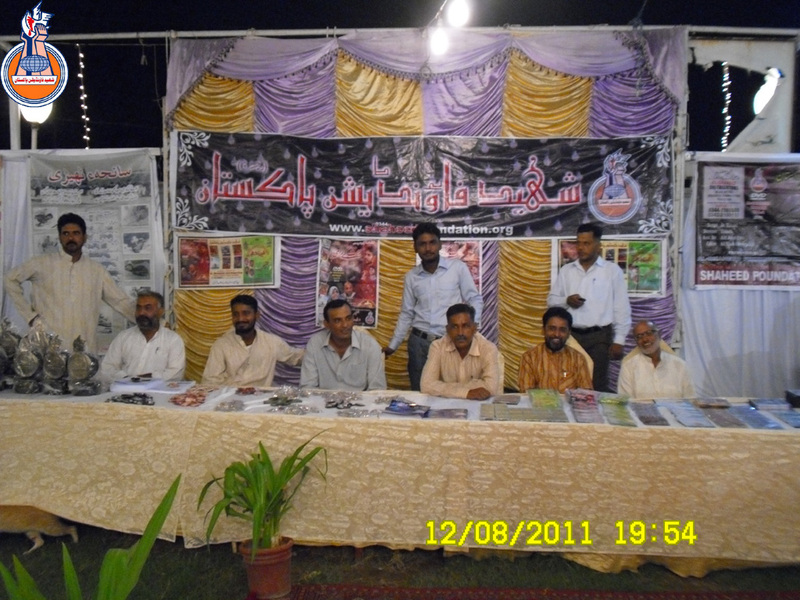 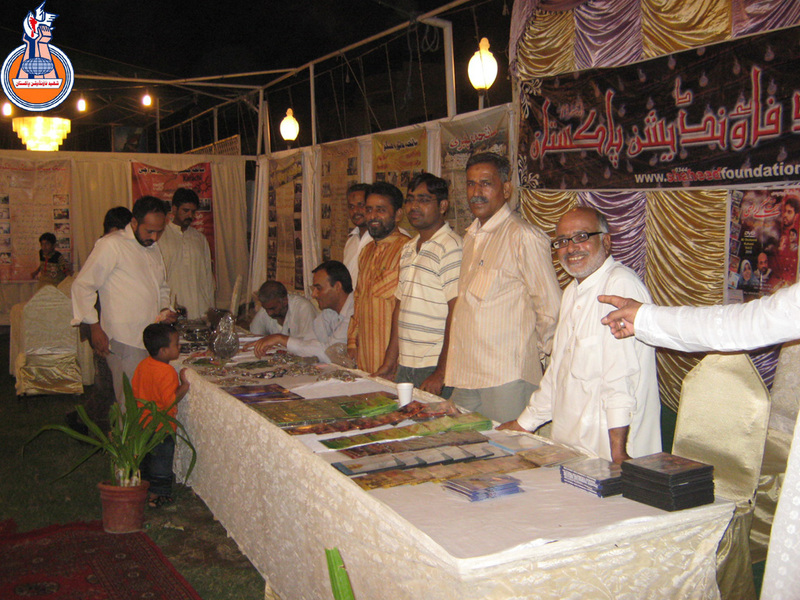 Shaheed Foundation Pakistan also arranged stall to give information about different project of Shaheed foundation Pakistan.